Nobody Owens, know to his friends as Bod, is a perfectly normal boy. Well, he would be perfectly normal if he didn't live in a graveyard, being raised and educated by ghosts, with a solitary guardian who belongs to neither the world of the living nor the world of the dead. But it is in the land of the living that real danger lurks, for it is there that the man Jack lives and he has already killed Bod's family. A fascinating story of love and friendship realized in the most unlikely of place. I never expected to love The Graveyard Book as much as I did. I bought it when it was the Kindle Daily Deal and then read it, probably about a year later, completely on a whim. I love how whimsical and unusual it is; how Bod growing up in a graveyard has made him both so unlike yet so like other kids his age. 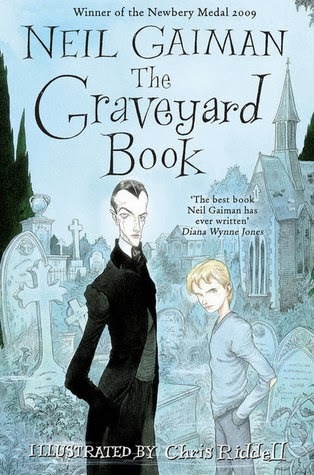 The whole cast of ghostly (and otherwise) characters were really brought to life (ha) by Gaiman’s writing: the characterisation was perfect and different enough that it was easy to distinguish. I loved the little asides of what was written on each of their gravestones. The plot was clever; revealing enough of itself to allow you an idea what was going on and keeping enough back to retain your interest. Gaiman’s writing is completely different to anything I’ve experienced before and while it took a little getting used to I found myself really enjoying his unique way with words. I got a little choked up when reading the ending which, embarrassingly, was while I was on the tube. It took me a little while to get into House of Hades; partly because there were a lot of initial Leo chapters and he is my least favourite character and partly because I was reading it in dribs and drabs which is not how this book deserves to be read. Once I finally got into it, I loved it. I enjoyed the contrast between those still on the ship and Percy and Annabeth in Tartarus. It was so interesting to see more of Tartarus and how it and those in it operate. I loved seeing Bob. 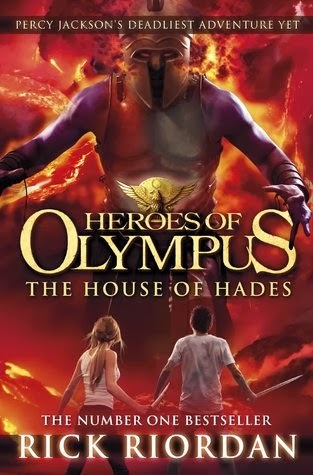 Whilst not my favourite book of the Heroes of Olympus series, House of Hades builds on already strong characters with an equally strong plotline that was extremely well paced. One of my favourite things about Rick Riordan’s writing is how inclusive it is: he is always keen to show that everyone, no matter what they think of themselves, has something to offer and is a valuable person to those around them. Anyone can be a hero. As far as messages in stories go, it’s a pretty good one. The main thing that came out of this book for me was my love, my empathy, and my desire to see a happy ending, for Nico. 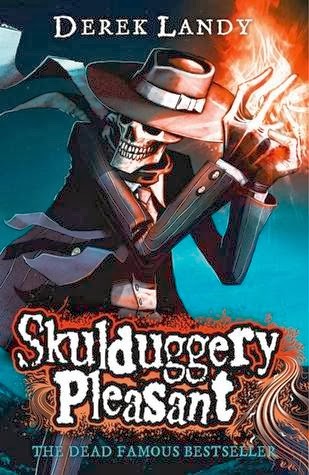 Meet Skulduggery Pleasant - ace detective, snappy dresser, razor–tongued wit, crackerjack sorcerer and walking, talking, fire-throwing skeleton — as well as ally, protector, and mentor of Stephanie Edgley, a very unusual and darkly talented twelve-year-old. Skulduggery Pleasant is a book I have been aware of for a long time, but never had the particular desire to pick up and read. Since becoming a blogger and hearing more about it, I've wanted to read it more and just never gotten around to it until now. I was pleasantly surprised by Skulduggery Pleasant. Skulduggery and Valkyrie are both strong characters full of personality. I especially liked Valkyrie, who took everything that happened around her in her stride and is resilient, independent and yet very, very human. A fantastic role model. The dialogue is that snappy, humorous time that, while slightly unrealistic, is always enjoyable to read and I loved the clever and unusual names everyone gave themselves. 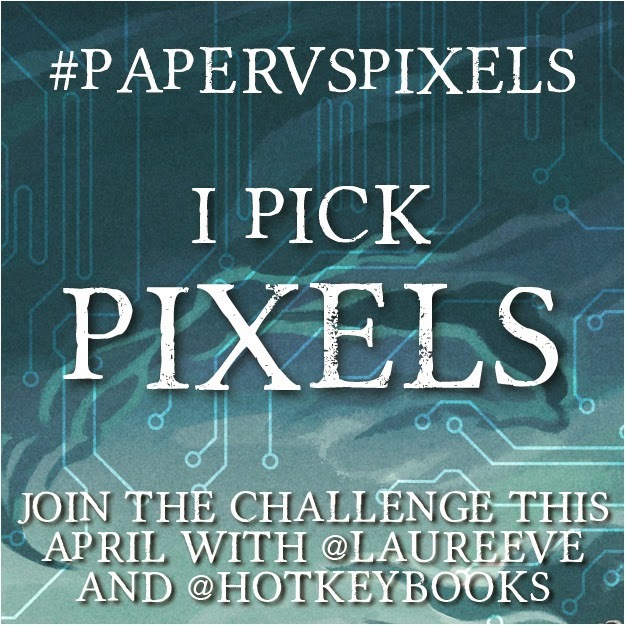 There wasn't an overabundance of world-building or focus on details and the plot was engaging and well-paced, with a surprising amount of violence for a middle grade book. I enjoyed Skulduggery Pleasant enough to want to read the second one. Yaay! More middle grade, please! Sooo happy that you love The Graveyard Book! It's one of my favourites.